The sculptor produced a large bas-relief in Roman travertine placed at the head of the crypt. 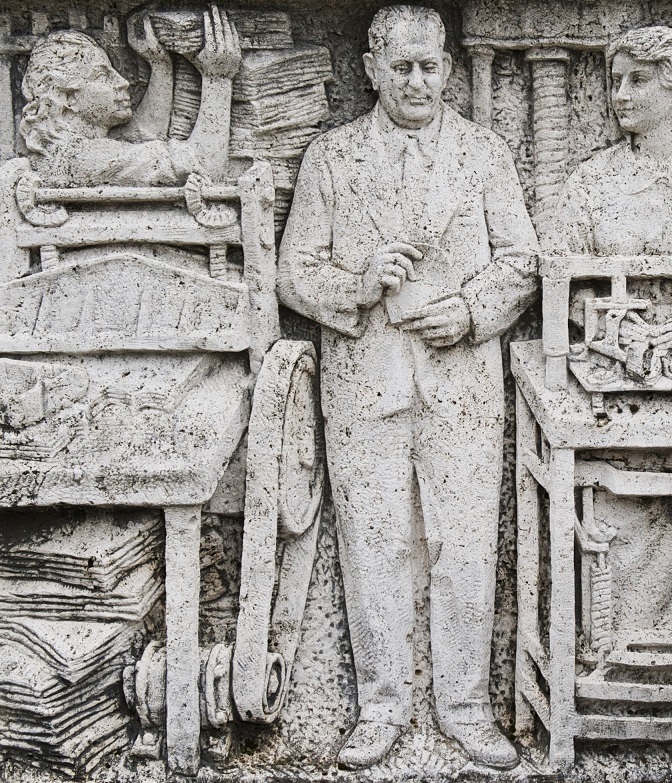 The subject depicted pays tribute to the printing works that bore the name of its founder, Giuseppe Capi (1892-1956) "creator of himself, teacher of others" and is a fine example of how often the memory of the deceased is represented by referring to their work. 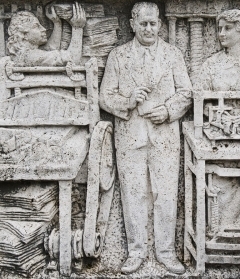 In fact the scene captures a typical day in the company with employees working on machinery, the entrepreneur standing in the centre. The skilful sculpture by Franchi, marked by an orderly composition and the absence of excessive detail, fully grasps the artisanal atmosphere and affectionate familiarity of the workers, as also reflected in the employees' expressions and that of the deceased. A cemetery "which can be called a Museum"